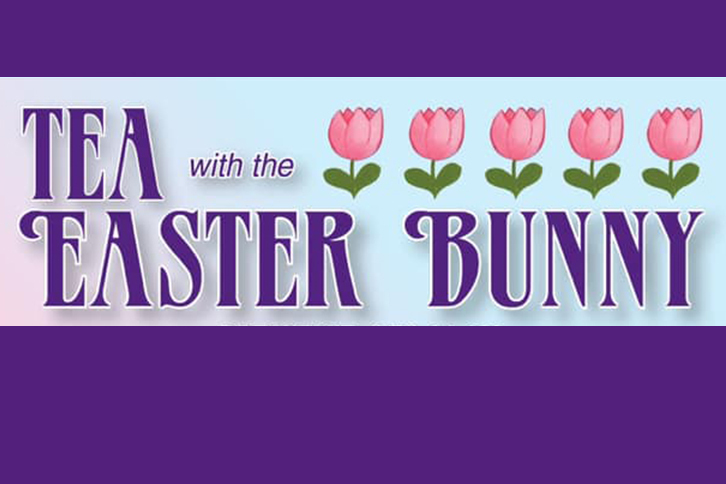 Join Piccadilly Parlour Victorian Tea Room for Tea with the Easter Bunny. Enjoy Breakfast on Saturday, April 13 and 20 from 9:00am-11:00am or Tea on Sunday, April 14 from noon to 2:00pm and Saturday, April 20 from noon to 3:00pm. Reservations are required, call 330-533-4749. Breakfast is $18.95 per child and includes choice of chocolate chip pancakes or French Toast sticks, hashbrown, 2 sausage links, choice of beverage. $19.95 per adult and includes spinach tomato Parmesan quiche, cranberry pineapple salad, 2 sausage links, hashbrown, served with orange tea bread, beverage included. Tea is $18.95 per child and includes chicken nuggets, mini cheese pizza, PBJs, mini corn dogs, fresh fruit on the side, and sweets served tea party style. Beverage included. $19.95 per adult and includes a medley of miniature tea sandwiches such as traditional cucumber, walnut cream cheese wedges, egg & chive, chicken and tuna salad, our homemade quiche slivers, and cranberry pineapple salad. Delightful sweets and beverage included.